A youth briefing with the President of COP17, H.E Maite Nkoana-Mashabane was held at 6pm, in Mopane Meeting room in the ICC on the 2nd of December 2011. Speaking to the youth, the President noted the need for the leadership to take action and provided information on the development of negotiations on the green climate fund. Some of the extracts of her discussion with youth is mentioned below. 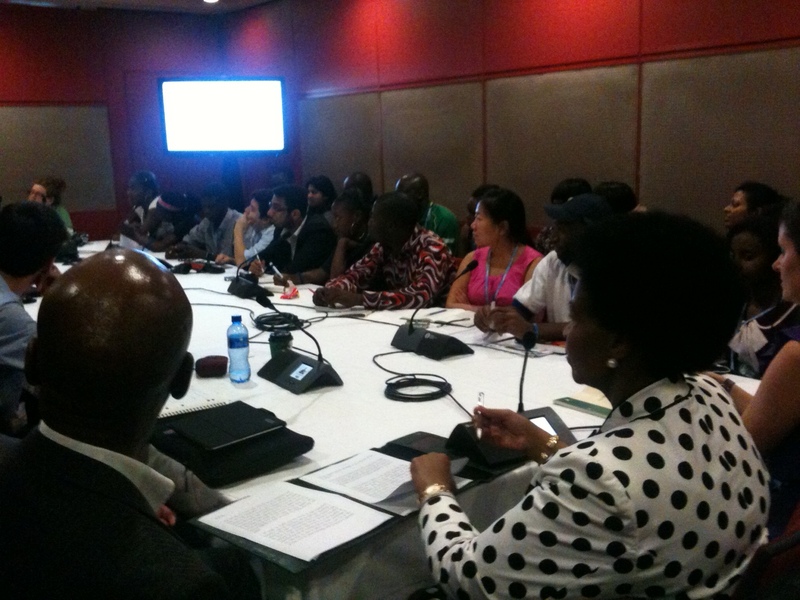 Following her speech the President of COP 17, was willing to answer questions of youth. The questions posed to her were mainly centred on the green climate fund, gender and female negotiators in delegations, and the inputting of youth recommendations to the process. “Q1. Much of what you spoke about was how will we fill the green fund how do we fill it..what is your opinion on innovative financing, and financial tax? Answering the questions collectively, H.E Maite Nkoana-Mashabane stated that the document sent by the youth constituency had been received and that the suggestions and the recommendations will be taken into account. “Globally women are a majority in all of the populations” but she added that the inclusion of women “is a struggle that we need to keep fighting for. No society strives by only using one hand. a society that needs to be dynamic needs to use both hands.” She also stressed on the role of youth in ensuring that there be accountability and inclusion of all parties in the delegations.